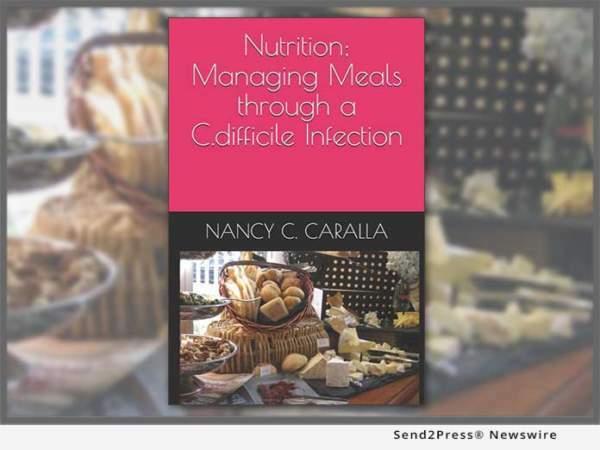 TAMPA, Fla. /Florida Newswire/ — The C Diff Foundation announces the release of a nutritional guide, “Nutrition; Managing Meals through a C. difficile Infection” (ISBN: 978-1973304241) authored by Nancy C. Caralla, C Diff Foundation’s Foundress, Executive Director and three time C. difficile Infection Survivor and co-author Karen F. Factor, MBA, RDN,CSR, LDN, C Diff Foundation Registered Dietitian during November 2017 Clostridium difficile (C. difficile, C.diff.) Infection Awareness Month. The book is a useful tool for patients, caregivers and clinicians to inform, educate, and guide in the nutritional challenges that can occur during and after a C. difficile infection. The importance of proper nutrition is paramount in aiding individuals diagnosed and suffering with a C. difficile infection. Paperback and Kindle Edition available through Amazon (http://a.co/iDBSedO) and the Book Patch. “A Clostridium difficile infection impacts each person differently. Individuals will not all experience the same nutritional and hydration challenges. This book contains educational information centered on C. difficile infection prevention, nutrition, hydration, with chapters defining probiotics, Vitamin D, and environmental safety,” stated Caralla. Fifty percent of the income generated from the sales of “Nutrition; Managing Meals through a C. difficile Infection” will be donated to the C Diff Foundation to support and grow their mission — Educating and advocating for C. difficile infection prevention, treatments, environmental safety, and support worldwide. “Had this information been available at the initial diagnosis of this horrific infection the devastation and dietary complications would have been avoided. This information is invaluable to patients, their families and caregivers by providing the necessary tools to manage nutrition and hydration through a C. difficile infection,” stated Kathy Bischoff, C. difficile infection survivor. The C Diff Foundation, a 501(c)(3) established 2012, comprised of 100 percent volunteering professionals dedicated at supporting public health through education and advocating for C. difficile infection (CDI) prevention, treatments, environmental safety, and support worldwide. Visit https://cdifffoundation.org/.